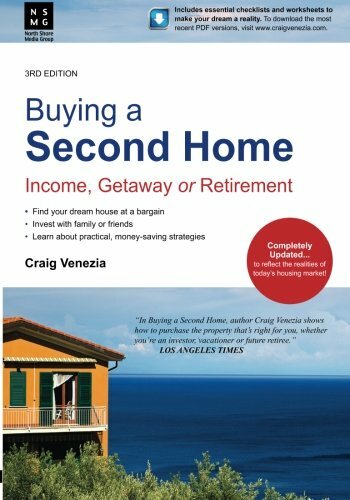 Craig Venezia is a real estate journalist and author of the nationally best-selling book, Buying a Second Home: Income, Getaway or Retirement, now in it's 3rd edition with over 25,000 copies sold! Craig also served as a contributing real estate writer for the San Francisco Chronicle, where he helped homebuyers understand and navigate the complexities of one of the most expensive housing markets in the U.S., the San Francisco Bay Area. Over the years, Craig has been quoted by hundreds of major media outlets nationwide including the New York Times, Los Angeles Times, Chicago Tribune, Next Avenue | PBS, Money magazine, HGTV Frontdoor, and Men’s Health, to name a few.